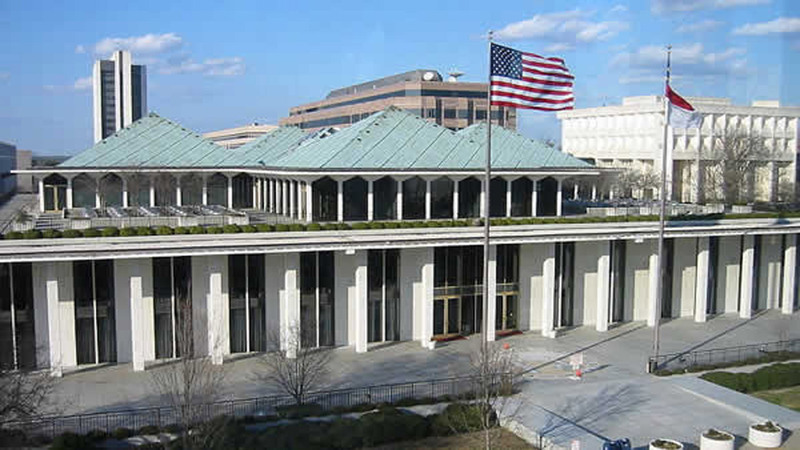 RALEIGH, North Carolina (WTVD) -- North Carolina judges issued partial victories Friday to both Republican legislators and new Democratic Gov. Roy Cooper over laws designed to undercut his powers. The judicial panel threw out laws approved two weeks before Cooper took office limiting his authority in carrying out elections and giving civil service job protections to hundreds of former Republican Gov. Pat McCrory's political appointees. But a majority of the three judges also upheld the new law subjecting Cooper's Cabinet secretaries to formal confirmation by a majority of the state Senate. The judges already had declined earlier to halt confirmation activity by Senate Republicans, and three department heads have been approved unanimously since last week. The rulings by the panel of trial court judges, which followed oral arguments last week, are likely to be appealed. The litigation exemplifies the power struggle between Cooper - who narrowly defeated McCrory after a campaign blasting the GOP agenda for the past four years - and the legislature, where Republicans hold veto-proof majorities. Attorneys for Republican House Speaker Tim Moore and Senate leader Phil Berger argued that the state Constitution gave the General Assembly prominence over the governor and the courts. They said judges should not get involved in the political dogfight flowing from Cooper's November election and the legislature's actions in December. But Cooper's attorneys said the laws should be invalidated because they skew the balance of power and make it difficult for a governor to carry out his duty to execute the state's laws. "We're pleased the trial court ruled two of these three laws unconstitutional, and we believe strongly that the Supreme Court ultimately will agree with us on all three," Cooper spokeswoman Noelle Talley said in a release. Berger's spokeswoman, Shelly Carver, said it was "encouraging the court recognized the plain language in our state's Constitution providing for a transparent confirmation process for unelected cabinet secretaries" with great responsibilities. She said further review would occur before deciding to continue the court fight or make changes through legislation. "However, it is disappointing that two judges awarded Gov. Cooper - who has made several ethically questionable decisions recently - total control of the ethics oversight of elected officials, instead of upholding a bipartisan board that North Carolinians can trust to settle ethics decisions and election outcomes fairly," Carver added.